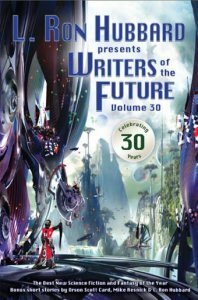 Writers of the Future Volume 30 Review plus new Webundle!! 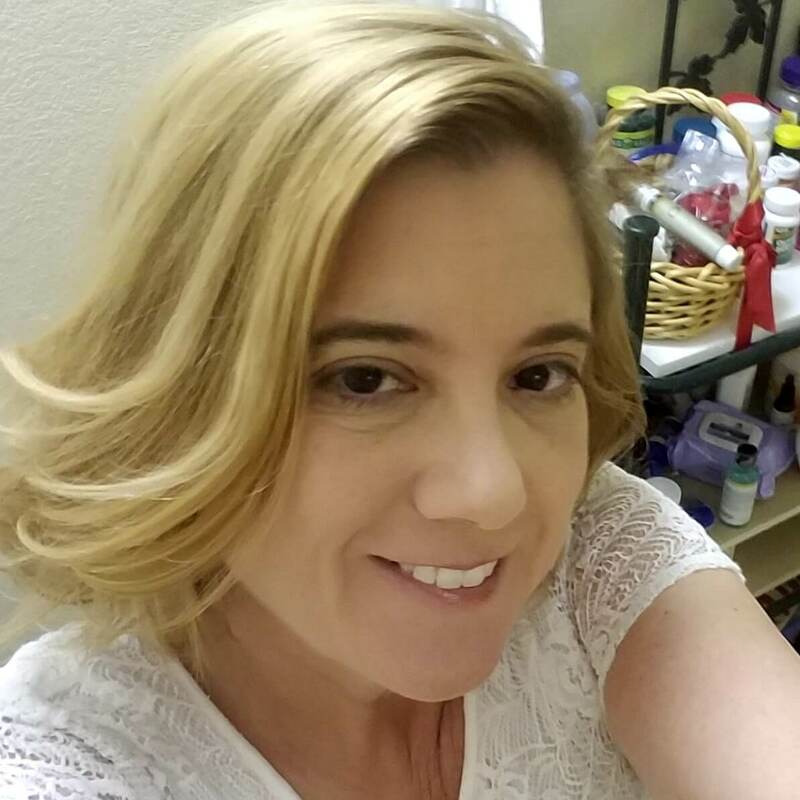 Would you like to find out more about the Writers of the Future series and the authors represented? Check out this Writers of the Future Bundle. You can even name your own price!! 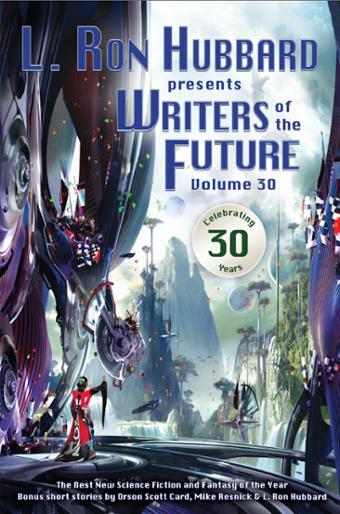 Last year, I was given the opportunity to review Writers of the Future Volume 28 and Volume 29. I loved them both so much!! I was beyond excited when I was asked to review this year’s edition, Volume 30. This year, the anthology is available in e-reader versions and trade paperback. The added bonus this year is that in addition to the black and white illustrations that accompany each story, there are also full color versions in the back of the book (of course, you’ll need a color e-reader to experience this). I give Writers of the Future Volume 30 four and a half stars!!! It’s an awesome romp through the width and breadth of historic and current science fiction and fantasy. Each quarter three winners each are picked for the Writers of the Future and Illustrators of the Future contests. There are cash prizes and the winners compete for a $5000 prize (one for writers and one for illustrators). For more information and to enter, go to Writers of the Future. I love science fiction. I have since I discovered star trek, as a child. This looks like a pretty good collection! I like the sound of this & the ‘writers of the future bundle’ website is amazing. I had no idea it was possible to download so many books for so little money. I do like reading interesting stories like these. I find short stories better for me to read and enjoy. I am a huge fan of science fiction and fantasy. Short stories are so great and the writers of this anthology are such amazing writers. The short story format is so fun for reading newer authors. What a great book! I love Science Fiction!